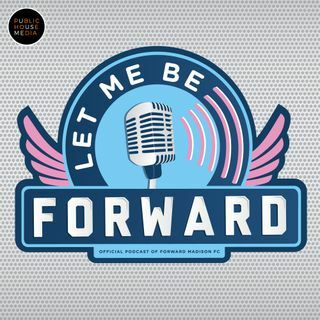 Let Me Be Forward is a podcast about Forward Madison FC in partnership with Public House Media. The show is hosted each week by Baxter Colburn and Madeline Kumm. Go behind the scenes of FMFC, along with a look around the soccer landscape, including interviews with players, coaches and team executives. Subscribe on your favorite platform and get ready, the first official episode debuts on March 20, 2019.